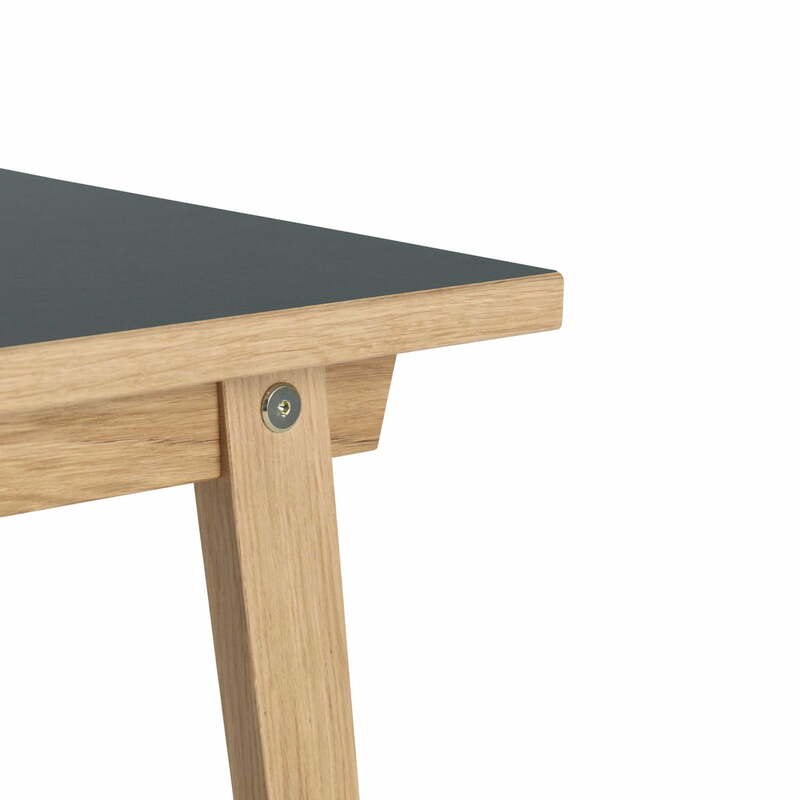 The Slice table Linoleum 84 x 160 cm by Normann Copenhagen is a table in classic Scandinavian design. 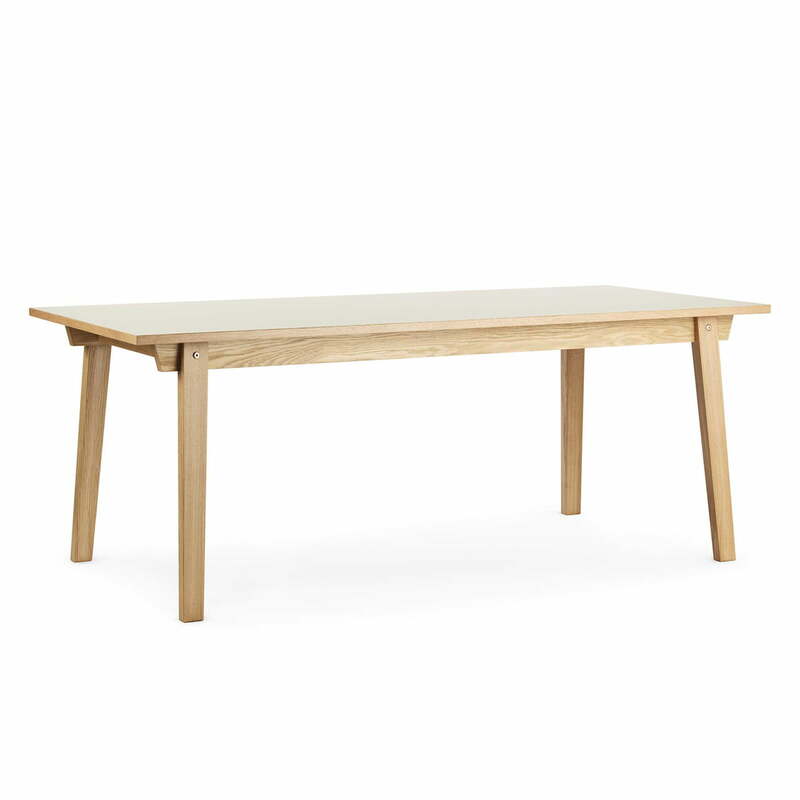 It was designed by Hans Toft Hornemann and consists of solid oak legs and an easy care linoleum table top. The natural wood structures are striking elements of the rustic table that make an interesting connection with the linoleum finish in different colours and breathe life into the Nordic design. 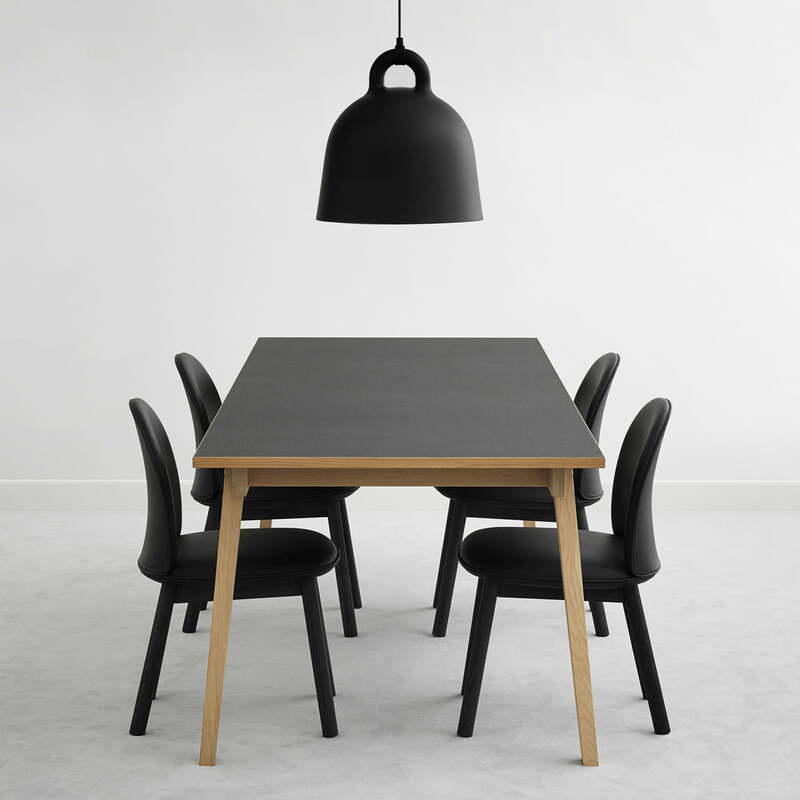 Slice is perfect as a dining table in the kitchen or in the living room, as a spacious alternative to the desk in the office or in restaurants.